Isao Takahata, co-founder of the legendary anime production house Studio Ghibli, has passed away at the age of 82. According to Yahoo Japan, Takahata had been suffering from a heart condition and was hospitalized last summer. While he didn’t carry the same international name recognition of his creative partner, Hayao Miyazaki, Takahata stood on his own as a creative mastermind, directing and producing some of Studio Ghibli’s most memorable and beautiful films. He is most well-known for directing Only Yesterday and Grave of the Fireflies, but also produced two of Miyazaki’s early seminal works: Nausicaä of the Valley of the Wind and Castle in the Sky. 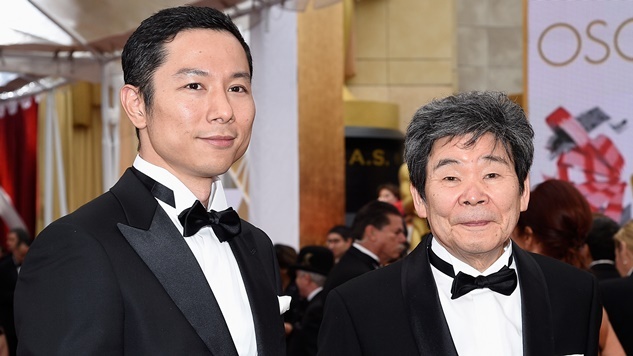 Takahata’s final directorial credit was for 2014’s breathtakingly beautiful The Tale of the Princess Kaguya, which was nominated for the Oscar for Best Animated Feature Film. His distinct, and sometimes frustrating, approach to his craft led to some of the most unique films in the genre, and a sometimes-contentious relationship with Miyazaki. The continually experimental art styles presented in Takahata’s films were a product of his decision to not draw his own films, instead allowing others to implement boundary-pushing stylistic approaches that produced some of the most memorable pieces in Studio Ghibli’s history. Miyazaki might be the name most synonymous with Studio Ghibli’s rich history, but there is no doubt that the company and, in some ways, the artform wouldn’t have reached the heights it has without Takahata. Both will continue to reach new ones, with his work as the incredibly solid and celebrated foundation.